In my other career, I’m a job search strategist and content writer for corporate executives. We work together to create their resumes, LinkedIn profiles, bios and other personal marketing materials for job search. When I first started seriously dating in 2011, I came to understand how much dating is like job search. 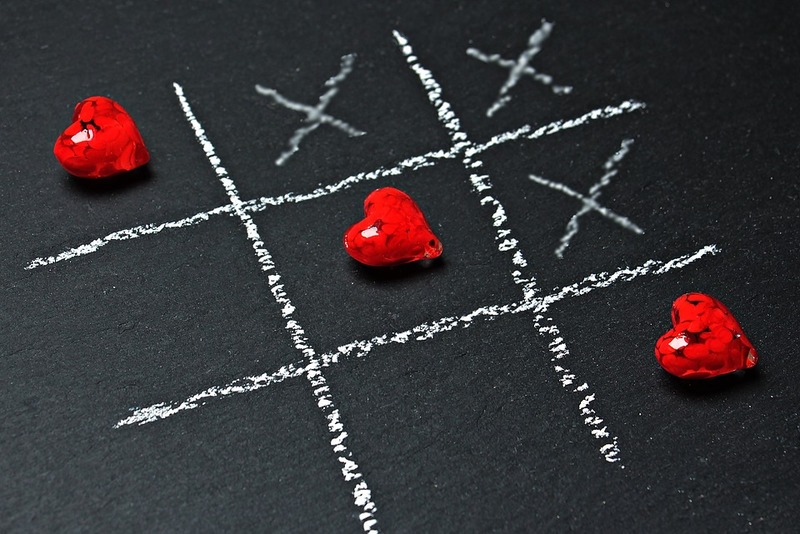 I looked at the sure-fire strategies and steps I advised my job-seeking clients to take, and realized I should follow the same steps, almost identically, to succeed in dating. Of course, this concept isn’t new. The correlation between dating and job search has been written about extensively. But I had a slightly different take on it. Over my 25 years in the careers industry, I developed a unique integrated system that helps my clients land good-fit jobs faster. My system requires initial introspection and thought, and a fair amount of hard work, but the effort pays off in the long run. So I followed the job search best practices my clients use, and sure enough, I found the right man for me. Pretty quickly, too. Actually, I found the right man twice. I first met “Sam” only 6 months after hitting the dating sites in 2011. Sadly, he died only 3 years after we met. But when I was ready to date again, I used the same strategy, and found Cosmo, my life partner and business partner here on Smart Dating Over 60. We won’t guarantee that if you follow these steps you’ll find the perfect mate, in record time. But you will greatly improve your chances and, perhaps more importantly, you’ll go into each date with better focus and a clearer understanding of who your ideal partner is. This alone decreases the stress involved with dating. And, if you’ve been seriously looking and dating for even a short time, you know how stressful it can be. Here are the basics . . .
A step that requires introspection and digging deep, personal branding is a method to define and communicate the unique combination of skills, strengths, personal attributes, passions and values that you offer the employers you’re targeting. It’s a way to differentiate the value you offer specific employers, over your job-seeking competitors. Defining your personal brand for dating may seem frivolous and self-serving, but think about this. If you don’t really know who you are, how can you present your best self to potential partners? How can you differentiate yourself from the sea of other people competing against you? The more specifically you can speak to people about yourself, and write about yourself in your online dating profiles, the more likely you’ll connect with a kindred spirit. If you’ve been dating online for any amount of time, and reviewed even a few profile summaries or narrative sections, you’ve probably noticed how much the same they sound, for the most part. Very few people differentiate themselves. They load the content with clichés that don’t really provide information about who they are. Many don’t bother to write much of anything, and the narrative section is where you get the chance to really “sell” yourself. I believe they don’t understand that a generic summary about them in their profile does little to capture attention and compel the right people to reach out to them. Coming off as the same as everyone else in the pool won’t get you noticed. Know which employers you want to work for. Make a list of those that will be a mutual good fit. Look for companies that will meet all or most of your needs, and that need what you have to offer. I think the correlation is pretty clear. Know who your ideal partner is. Who will truly make you happy? What personality traits appeal to you? What activities and hobbies do you want to share? What things can you tolerate and which things are unacceptable? Make a list of the most important things she/he must possess and what things she/he must NOT have. For instance, if you’re not an outdoors person, you may not be happy with a partner who’s heavily involved with outdoor sports and activities. Steer clear of them. Research the companies to determine why they need you, so you can position yourself as someone who will help them and solve their problems. Information about most companies is readily available online. Read about dating over 60 in general . . . here on this site and elsewhere. Go to the library. You’ll find many resources. Things to think about and help prepare you. Talk to everyone you know – at work, family, friends, colleagues, etc. – about who you’re looking for. People who are actively dating or have recently dated are preferable. They will have many insights. And join a few dating sites, just as an observer at first. Review profiles and see what people are about. You’re not ready to write the summary or narrative section of your profiles, but go ahead and answer the questions for your profile the sites ask you. At least you’ll have some information there in the profile about you. Research, of course, is an ongoing thing. Once you’re actively dating and using dating sites, you’ll do your best to find out what you can about each potential date. Having done the targeting, research and personal branding work, job seekers are ready to write (or have someone else write) their job search marketing materials – resume, LinkedIn profile, biography, cover letters, etc. They now have the specifics, and the meat, to communicate and position what makes them a good fit for specific employers. Now that you know what you’re looking for in a partner, and who you are and what you have to offer, you’re ready to write down your thoughts and compose the content for online dating profiles. Be specific about the things you like to do, the kind of person you are, the things that make you happy. 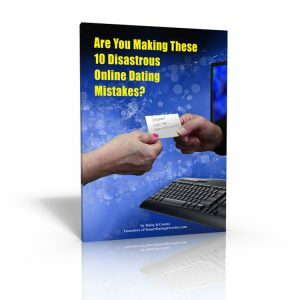 Even if you don’t intend to dive into online dating – so you won’t be writing a profile – you’ll benefit from putting these things to paper. You’ll be better able to tell people specifically what and who you’re looking for. Craft the narrative or summary for your online profiles. Generate chemistry about yourself. Go ahead and post the content to your profile. Get something you’re happy with up there. You can always come back and tweak it. In fact, on some sites when you make any changes to your profile, it will be highlighted, so it’s a good idea to regularly refresh the content. Job seekers need to reach out to everyone they know and tell them what they’re looking for. They need to be active online too, on social networks, positioning themselves in front of employers who are searching online for viable candidates and others who can help them reach their career goals. In dating, use every resource at your disposal . . . both online and offline. Tell everyone you know (if you’re comfortable with them knowing) that you’re actively looking, and what you’re looking for. Ask them if they know anyone who fits the bill. You’ve already joined a few dating sites and posted your profile (unless you’re completely against this). If you’re dead set against online dating sites consider this . . . The biggest pool of potential partners is on the dating sites. That’s where most people go. That’s where you should go, to really up the chances you’ll meet someone who’s looking for someone, just like you. Dating sites are social networks, just like Twitter and Facebook. Start reaching out to people who seem like a good fit. Just email back and forth for a bit, to see if they may be right for you. If someone is not willing to spend a week or two emailing and on the phone with you, I would wonder whether they’d be the kind of person you can build a relationship with. Researching seeps in here again. Find out people’s full names as early in the game as possible, so you can Google them for more information. Some people pay for sites that provide information on police records and other background specifics. Job interview prep is essential to land the job. From deciding what to wear, to prepping to answer the expected questions, and the off-beat ones . . . to coming in with the questions YOU will ask. Preparing for dates is similar to preparing for job interviews. I always prepped for first dates by thinking of a few questions to ask them, based on what we had already discussed in emails or by phone. Many people are so nervous on first dates that they either talk too much or can’t think of anything to say. I never faulted or ruled out someone for either, as long as they came through in enough other ways. Treat dating like a learning opportunity and just do it as often as you have time for, and when you come across people who have some potential. Going on numerous dates gives you invaluable experience and will help you better define who is right for you. Think of it this way . . . It’s only a date. If things don’t work out, it’s no big deal. Of course, don’t waste everyone’s time by going out with people you clearly have no real interest in. I know some people are afraid or resistant to dating at all, especially if they’ve been hurt in past relationships. And many are fearful for their safety. Rightly so. Predators are out there. I took precautions with first dates that a man may not feel are necessary. I typically emailed back and forth with potential dates 3 or 4 times and had a few phone calls, over a few weeks, until I felt comfortable about meeting them in person. As noted earlier, if someone is not willing to be patient with you moving moderately slowly, what does that say about them as a potential partner? But if you expect to just email and have phone calls for months before actually meeting in person, you’re probably not really ready for dating. And putting off meeting in person is suspect behavior that may peg you as a scammer. Meet for coffee, not a meal, for the first date. No matter how great they seemed at first, I found that sitting through a meal was agony, if they turned out to be a jerk, or totally wrong for me. Always pay for yourself on the first date, or at least strongly offer. Don’t get into a car with them until at least the third date. This involves comparing the job offers received, salary and other negotiations, and getting all the details straightened out. This one is kind of simple. Someone is right for you if they meet most of your needs, based on whatever criteria you set out when you did the initial steps noted above. Don’t expect perfection. After all, you’re not perfect either. Do you like most things about them? Do you have enough common interests? Are you attracted enough to them? Looks aren’t terribly important, but I always felt I had to be happy looking at that face for the long term. Do you enjoy doing various things with them? Do you enjoy just sitting quietly with them? Do they light up when they see you? And, most importantly, trust your gut. If anything feels off, or you feel suspicious of them, or they seem to be secretive or hiding something, or they drink too much or have drug issues . . . any number of things that make you pause, or give you that creepy feeling . . . run the other way. Don’t think you’ll change them, or things will get better. Remember, people are probably on their best behavior during the early days of dating. If they’re misbehaving then, what will they do later on? 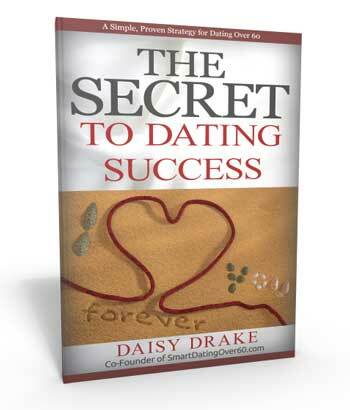 My suggestions in steps 1 – 7 apply mostly to people who are dating to find someone for a serious, forever relationship. I hope romance is important to you too. It was a big thing for me. And I found it. Some people don’t romance or a serious relationship. They’re dating for occasional companionship or purely physical hook-ups or other reasons that may not be your reasons. Be sure you determine early in the game that your dating goals are in sync.